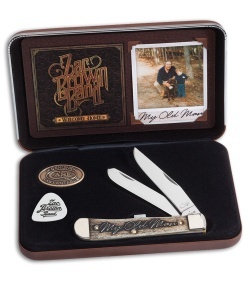 The Zac Brown Band, My Old Man Trapper gift set by Case is a keepsake any fan would love to own. A leatherette presentation cases' inner lid features the Welcome Home album cover and photo of Zac Brown and his father. Tru-Sharp surgical steel blades on the Trapper have a polished finished and long Case logo. Natural bone scales have been laser engraved with the single title "My Old Man". Polished nickel silver bolsters with pinned brass liners ensure lasting quality. 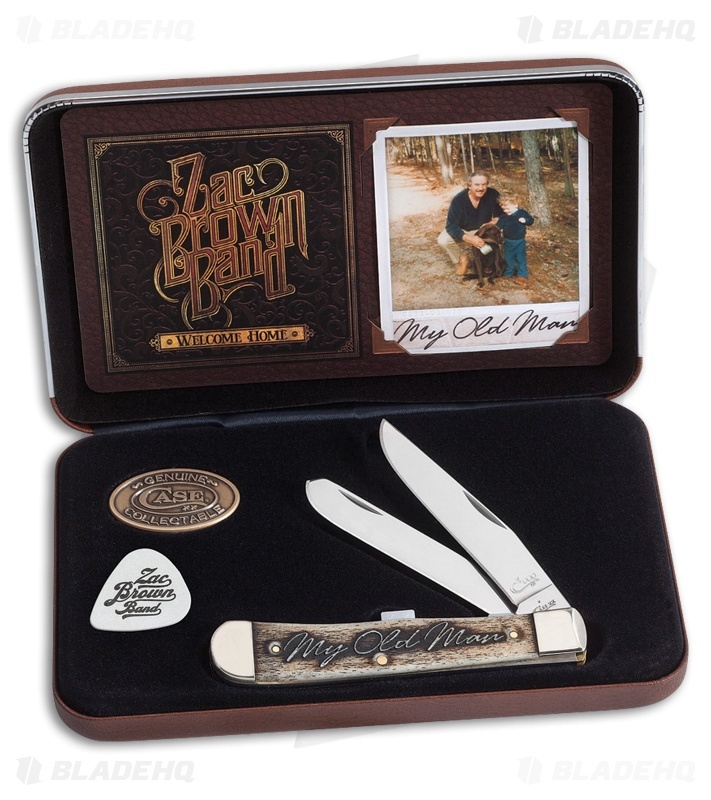 Includes Case collectible medallion and Zac Brown Band guitar pick.